Since almost 30 years, Balta has been the worldwide market-leader in PP area rugs. Our large production capacity guarantees maximum flexibility, enabling us to meet individual requests of our customers. We can also guarantee a quick service as we permanently maintain a large stock of our basic collection. Our Berclon® exclusive fiber guarantees high quality and creativity. 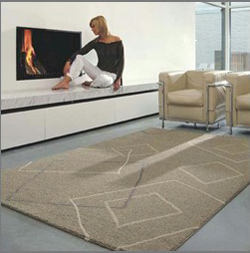 Balta Home "New Generation Rugs"